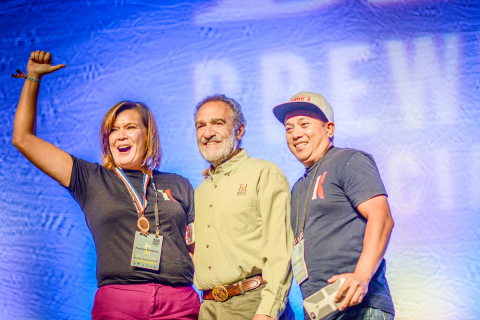 Pro-Am medals to teams of amateur homebrewers paired with professionals. world and a symbol of brewing excellence. a PDF list of the winners. judged in three rounds over four days. Truck Brewery, High Point, N.C.
by Briess Malt & Ingredients Co.
American-Style Strong Pale Ale and Coffee Beer. competition the most competitive ever. IPA, Georgetown Brewing Co., Seattle, Wash.
Riip Beer Co., Huntington Beach, Calif. Deep Brewing Co., Auburn, Calif.
Green, Highland Park Brewery, Los Angeles, Calif.
San Clemente, San Clemente, Calif.
Imperial Stout, New English Brewing Co., San Diego, Calif.
Warrior, TAPS Fish House and Brewery – Corona, Corona, Calif.
Mélange À Trois, Nebraska Brewing Co. – Papillion, Papillion, Neb. 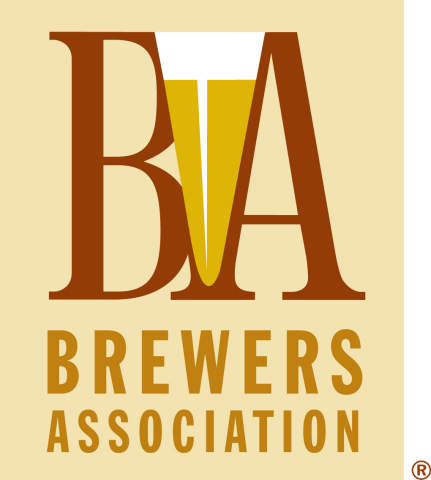 15th Anniversary Ale, Island Brewing Co., Carpinteria, Calif.
1,752 breweries in the competition from 50 states plus Washington, D.C.
Guru™ mobile app. Follow us on Twitter.